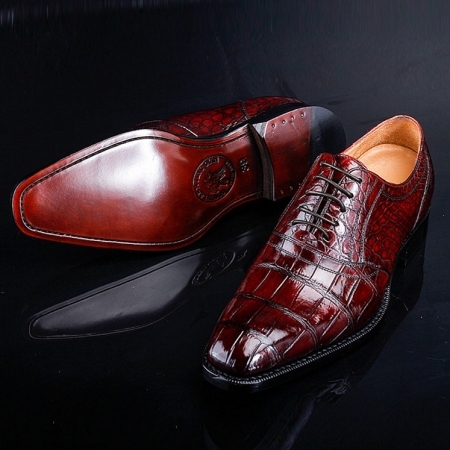 BRUCEGAO brings you this pair of formal shoes that will give a classic touch to your shoe cabinet. 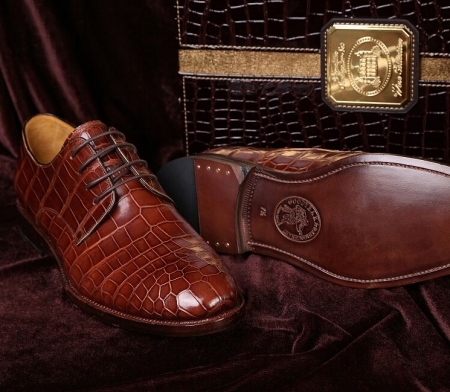 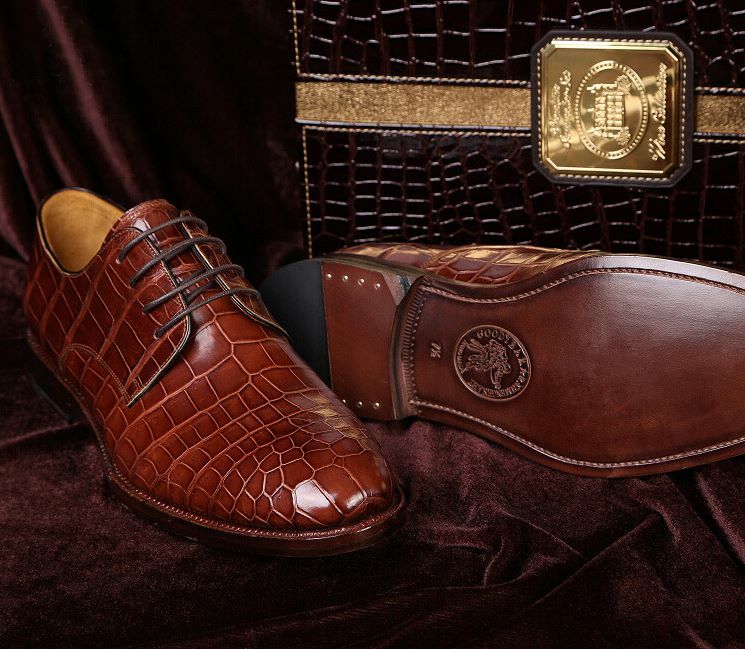 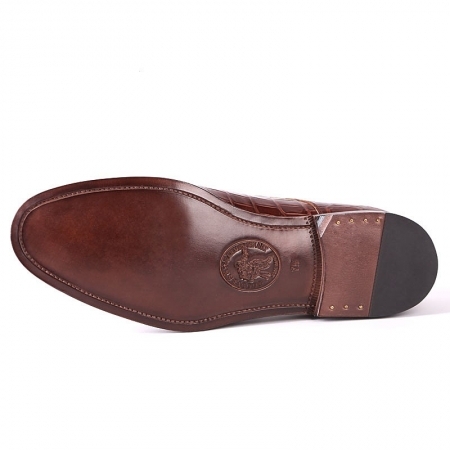 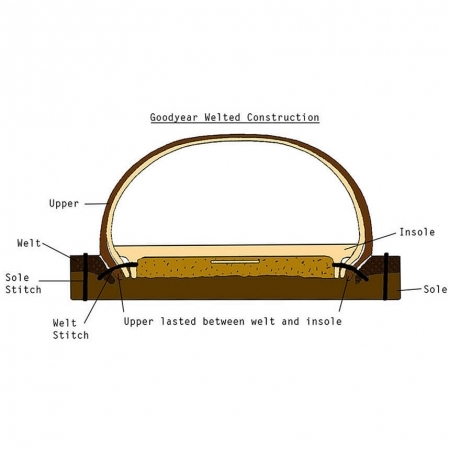 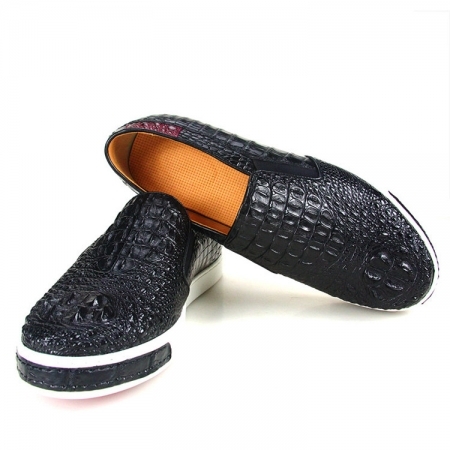 It has been crafted from premium quality alligator leather that lends it a smooth finish. 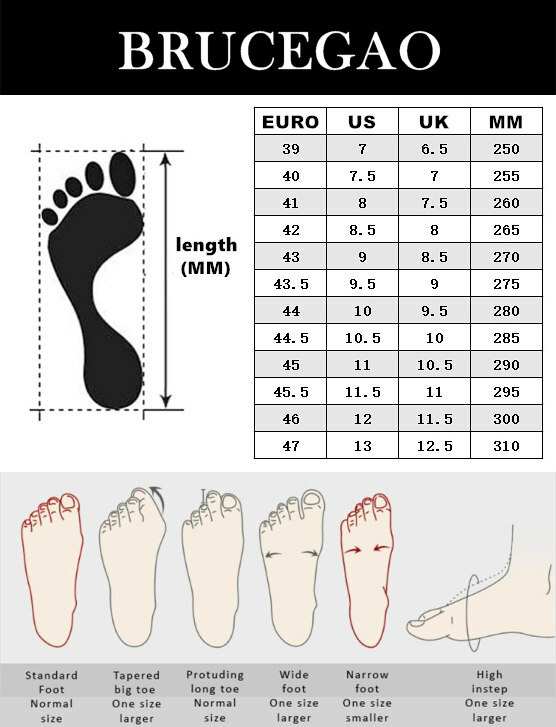 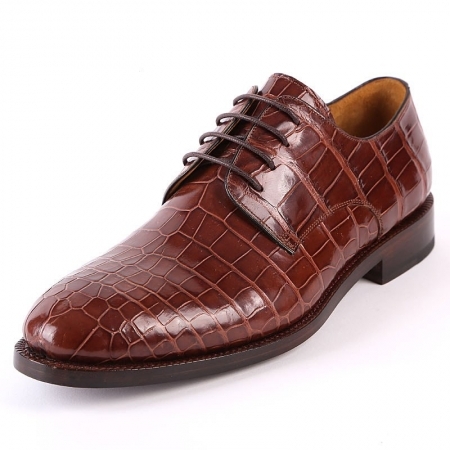 Moreover, it comes with a lace up fastening pattern that makes it comfortable to wear all day long. 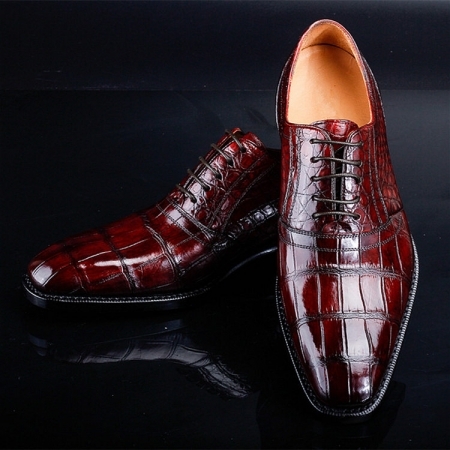 The most easily recognizable of all classic styles is the elegant English Oxford. A formal style that dates back over two hundred years, it is thought to have been named by the students at Oxford University, although it is almost certain that the style predates this ‘naming’ further still. 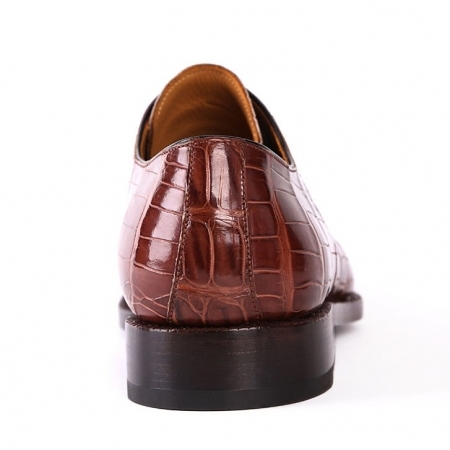 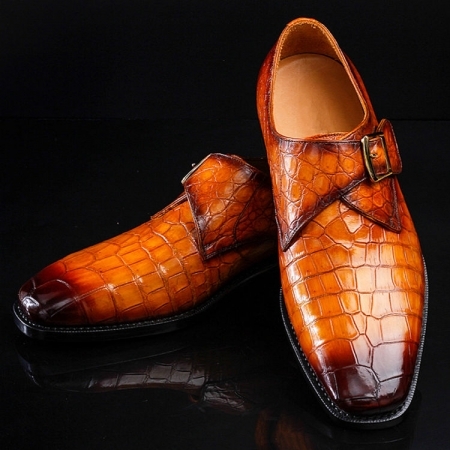 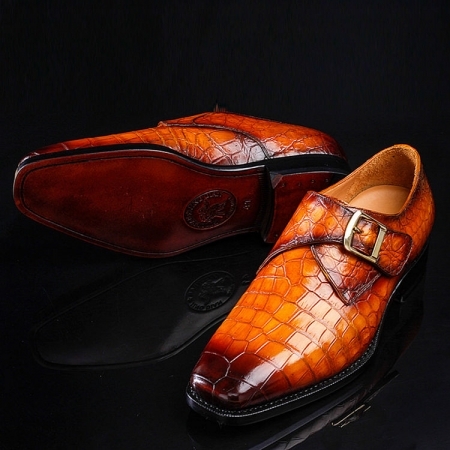 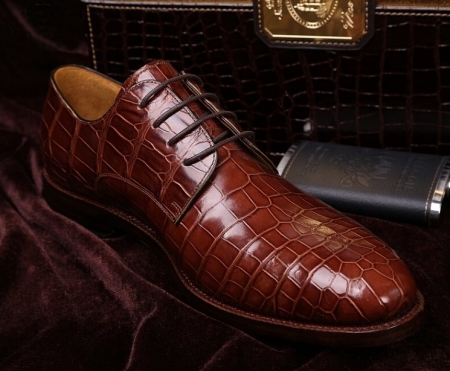 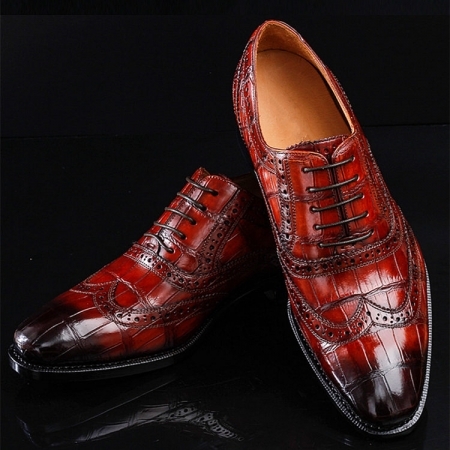 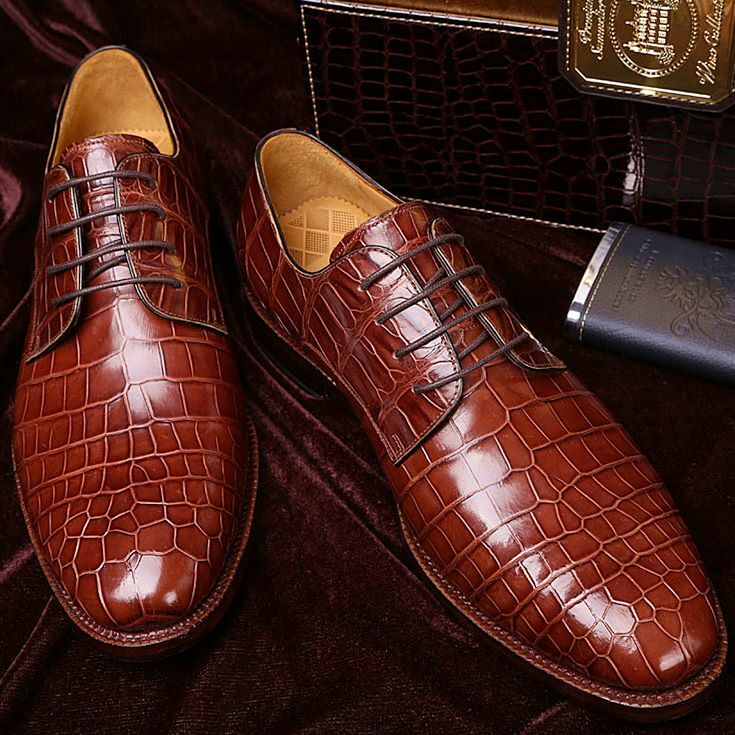 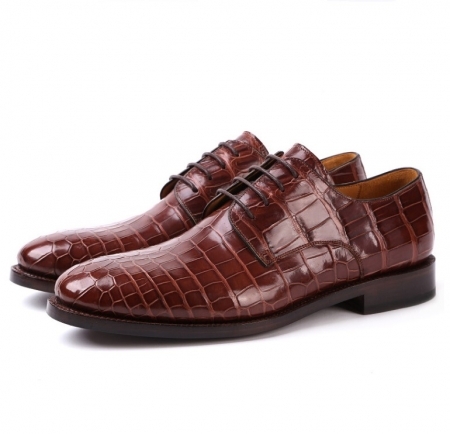 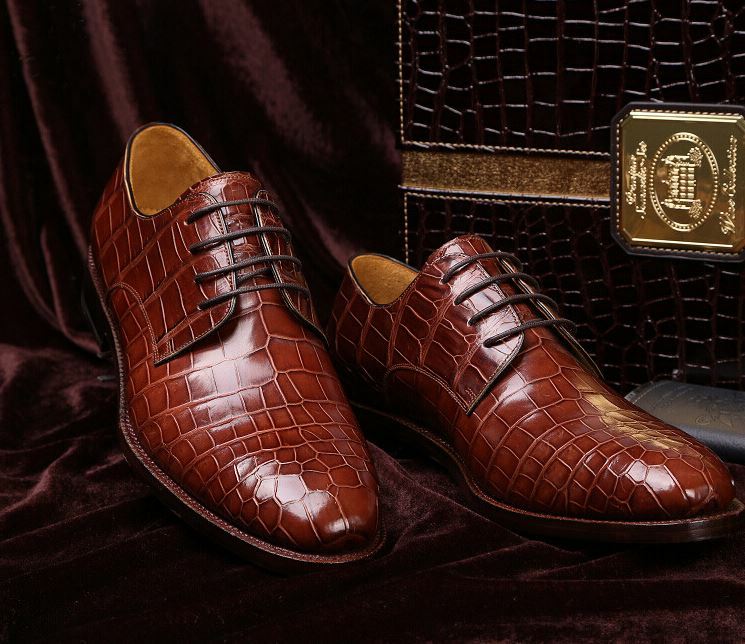 Wear this pair of alligator Oxford shoes with any classic formal outfit and make a style statement.